Monterey, Calif. – Not only did the season-finale event of the 2017 Pirelli GT3 Cup Trophy USA at Mazda Raceway Laguna Seca provide some incredible competition, but it also yielded the final results of the year as five champions emerged from the double-header event – closing out an extraordinary 11th season for series organizers Competent Motorsport that included 16 races at six different venues. The championship winners include drivers from five different teams of the Pirelli GT3 Cup Trophy USA paddock. Bryce Ward, Ray Shahi, and Jeff Kearl all earned their first Pirelli GT3 Cup Trophy USA championship titles, while Beggs and Goldman both add another to their racing resumes. Goldman won last year’s Silver Masters championship and Beggs has won three championships from 2012-2014. The Diamond category which features the Porsche GT3 Cup (991 from 2014-present) was a highly contested battle for top honors all year long. The class saw eight different winners in 16 races and Beggs led the way with six victories to his credit. He also stood on the podium 11 times during the season. 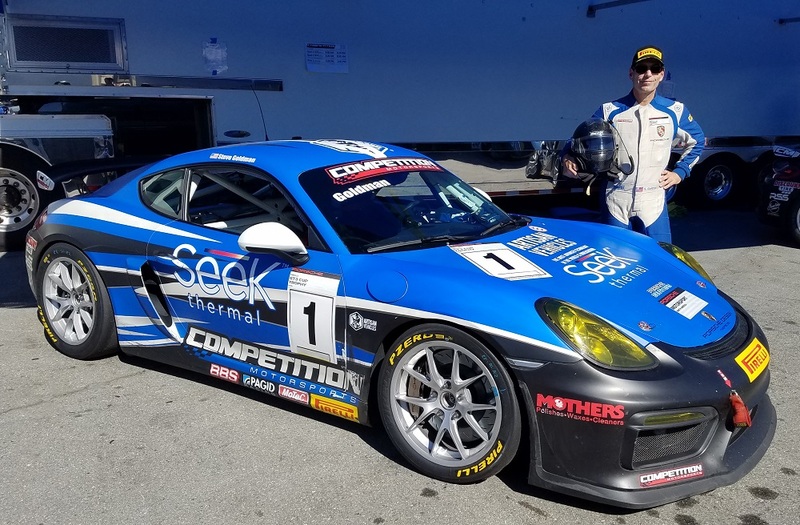 GT Technik’s Max Root and Aasco Motorsports’ Alex Kirby each took home two wins during the year and earned second and third in the championship, respectively. As the Pirelli GT3 Cup Trophy USA continued to see growth, bolstered by the addition of Series Director Steven Costello and Race Director Randy Buck, the 2017 championship was an exciting one. In the Diamond Masters division, Bryce Ward of Texas came out with the top honors in a close battle with fellow championship contenders Michael Zuieback and Mike McAlister – both of Competition Motorsports. 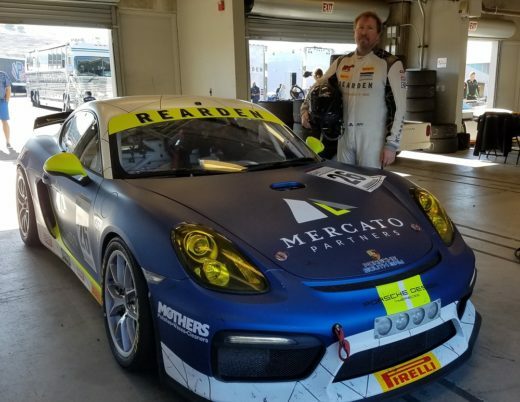 Despite having to miss two race events during the year – COTA and Road America – due to the flooding in Texas following Hurricane Harvey, Ward’s four race wins and five podium finishes were enough to secure him the Diamond Masters championship title. But Zuieback didn’t make it easy on Ward as the Competition Motorsports driver put his No. 2 Discount Tire Porsche 991 GT3 Cup in Victory Lane three times in 2017 which saw him finish runner-up in the championship. McAlister, who took one race win during the season, rounded out the top-three in the point standings. “Winning the Masters Championship is very special to me – a great driver and wise man Craig Stanton told me ‘it is easy to win a race, it is incredibly difficult to win a championship’ and he is absolutely right,” said Ward. “Everything has to be perfect from the start of the season to the finish. I want to thank my sponsors Racing Radios, Sonic Tools and Techemet for their generosity and support during the season. To my car chief Josh (Auerbach), and my Winward teammates Grant (Barclay), Nick (Ruyle), and TJ, you made this possible. A special thanks to Russell (Ward), Shawn (Dougherty) and Damien (Faulkner) for all the coaching and advice that made me a better driver. The Diamond Masters class saw seven different winners in 2017. 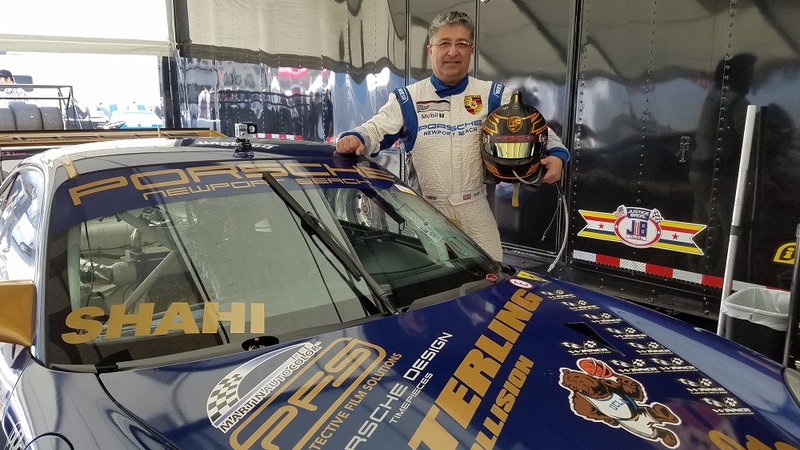 Ray Shahi led the standings in the Platinum class (for the Porsche GT3 Cup 997 2010-2013 iteration) all year long and won the championship after scoring 11 victories and three additional podiums in 16 races. 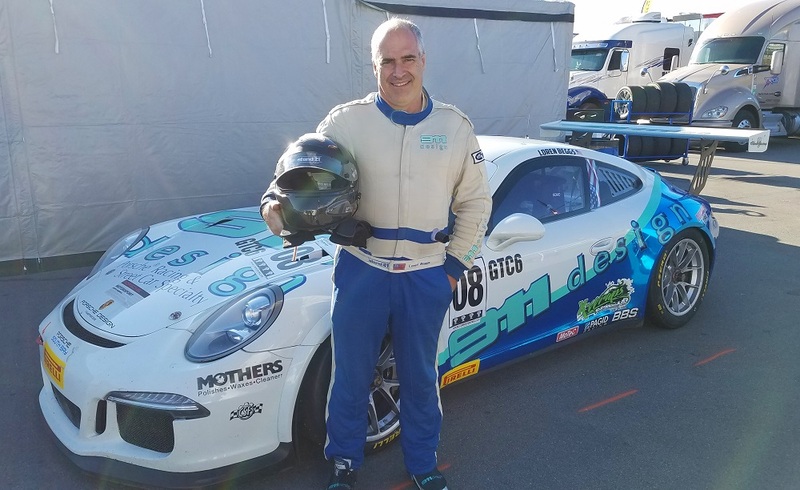 But his TruSpeed Autosport teammate Larry Schnur, who earned two victories and 10 podiums, was never far behind and completed the 2017 race season runner-up in the standings. Fellow TruSpeed Autosport driver Jim Slavik was third in the championship with a win at Road America and four podium finishes to his credit. In the popular Silver category for the Porsche Cayman GT4 Clubsport, it came down to Rearden Racing’s Jeff Kearl and Competition Motorsports’ Sean McAlister for the championship title. In the end, Kearl prevailed over McAlister with 319 points. In all but three races in 2017, it came down to a battle between Kearl and McAlister as the two went toe-to-toe for the victory in nearly every race. Kearl came away with 12 wins to McAlister’s three wins – but McAlister was right there with him – scoring eight runner-up finishes. Steve Goldman won his second straight Pirelli GT3 Cup Trophy USA championship title in the Silver Masters class driving for Competition Motorsports after taking 10 victories. 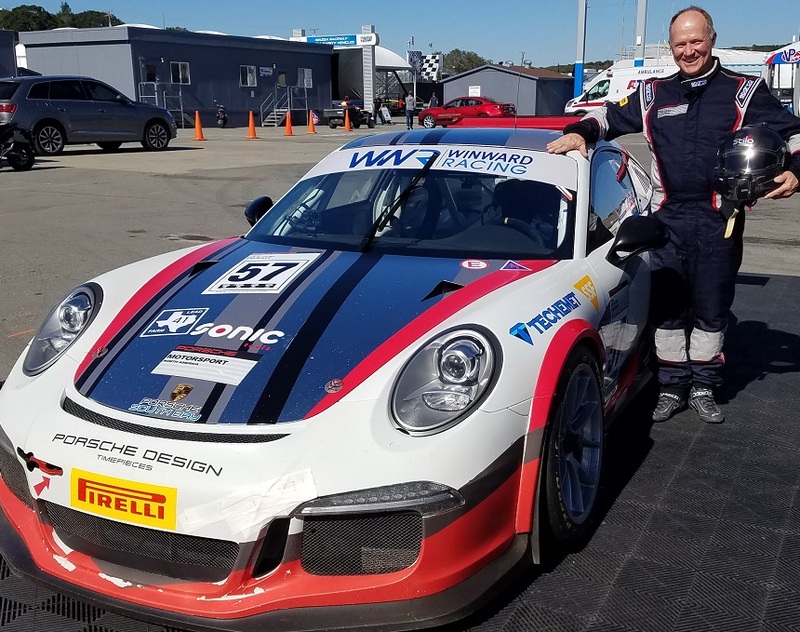 Martin Brauns of Flying Lizard and Goldman’s Competition Motorsports teammates Carl Tofflemire and Laura Ely all scored two wins each. Despite only running a partial season, series-newcomer Ely placed fourth in the Silver Masters standings and will be one to watch in the 2018 Pirelli GT3 Cup Trophy USA season.